Please plan to arrive in Cuzco, Peru, by mid-afternoon on Saturday, November 10th. (For those arriving earlier, we can make recommendations for hotels, shops and superb restaurants in the area). Mid-afternoon, we will travel by van as a group to Pisac, 45 minutes away, where we will arrive at our lodge, Melissa Wasi, unpack and gather for dinner and an evening circle. We will connect to one another, enjoy a meal, and review the schedule for the week. We will also have first shamanic breathwork ceremony. This will allow you to ground into the land of the Sacred Valley, prepare your body for the work with plant medicine, and open you to receive deeper guidance during the week. On the morning Day 2, we will gather in the morning for a Morning Meditation and breathwork followed by breakfast, and set a schedule for individual intention setting and subsequent integration sessions with Guillaume & Miriam. A light lunch will be served at the lodge and the rest of the day will be spent in preparation for ceremony with Grandmother medicine at 8pm with local healers trained in the Shipibo lineage. This medicine will open our deep dive into remembering the call for our own healing and our lives in the world. On Day 3, we will enjoy a very light breakfast at Melissa Wasi, and gather for an integration circle to share our experiences with the evening's ceremony. After a light lunch and time on our own to explore day, we will gather for a Rapé Ceremony to integrate, cleanse and ground from the evening before. Afterwards, we will gather again for dinner together in the lodge, and rest in preparation for our Huachuma ceremony the next morning. On Day 4, we will wake up very early (fasting) in the morning and travel by van to meet our local Huachumero in the neighboring mountain village of Taray. 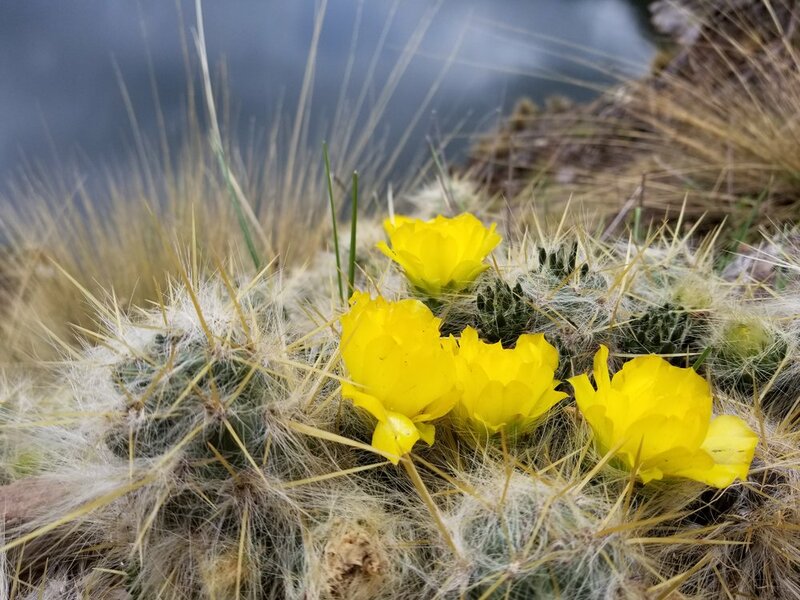 This entire day will be spent in ceremony with Grandfather medicine, the master plant cactus of the Andean Mountains, trekking through the mountain above Pisac at Kinsa Cocha, a local sacred lake. We will return to the lodge in the evening, where dinner will be waiting for us. We will have meditation gathering and some shamanic healing support for those who want to continue the medicine work open during the day. On Day 5, Guillaume & Miriam will lead a Meditation and Integration Circle after breakfast, and continue doing individual integration work in the morning. We will explore some shamanic healing tools (breathwork, energy clearing, energy protection) to support your work and also to bring back healing tools you will be able to use at home when back. We will spend the remainder of the day resting, integrating or walking into town to do some shopping with local merchants and healers. On Day 6, we will again wake very early (fasting) to travel to a sacred cave above Ollantaytambo for a second ceremony with Grandfather. This day will provide us ample time to reflect upon the ways in which we are beginning to see remember the call for our own healing and for our world in the world. After the ceremony ends at sundown, we will head back to the lodge, where dinner will be waiting for us. Fire and song circles may continue late into the evening. On Day 7, we will have a day of integration, rest and shopping. After breakfast at the lodge, we will gather together in an Integration and Meditation Circle, where we will share the experiences and insights that the sacred plant medicines have been bringing to us. After that, you will be free to head back into the town of Pisac to do more shopping, rest on the property, meet for private individual integration work with Guillaume & Miriam, or enjoy lunch at Dona Clorinda, the best local Peruvian restaurant in Pisac (and right down the street from Melissa Wasi!). We will gather for dinner back at the lodge and enjoy a Cacao and Fire Ceremony, where we release all of our old ways of being into the sacred fire, and join in song to honor the calling to heal. On the morning of Day 8, we will enjoy a final breakfast together at Melissa Wasi, and a final Meditation and Integration Circle where we review post-medicine work recommendations as your travel back to your homes. For those traveling back to Cuzco, a van will come and collect you mid-morning to take you back to the center of town, where you are welcome to stay a few days, enjoy the San Pedro Market, or head straight to the airport. For those of you continuing on to the Machu Picchu extension, our local guide Valerio will come and get us mid-morning and drive us to Ollantaytambo, a couple of hours away, where we will enjoy lunch in this quaint, ancient Incan city. Afterwards, we will board the train to Aguas Calientes, the town at the base of Machu Picchu, where we will spend the night. You will be free to enjoy dinner and shopping on your own that evening. Very early on the morning of Day 9, we will arise and take the bus up to the top of Machu Picchu, the ancient Incan citadel, and one of the 7 Wonders of the World. We plan to arrive there for the sunrise, one of the most magical time of the day to discover this site. Here, the mystical, spiritual energy of Peru is at an all-time high. We will spend several hours in the city with our local guide learning about the majesty and magic of these ruins, doing shamanic practices and ancient prayers, before we head back down to Aguas Calientes to catch a train back to Cuzco. We will arrive in Cuzco late-afternoon, and you will be free to catch an evening plane or check into your own hotel for the evening before a flight out the next morning.